4 100/90-19 57V Front Мотошина 100/90-19 57V TT Scorpion Rally STR Front PIRELLI SF143933 2 8 560 руб. 12 100/90-19 57V Front Мотошина 100/90-19 57V TT Scorpion Rally STR Front PIRELLI 1726352/10 7 8 560 руб. 12 110/70-17 54H Front Мотошина 110/70R17 54H TL M+S Scorpion Rally STR Front PIRELLI 713047101 9 7 680 руб. 4 110/80-19 59V Front Мотошина 110/80-19 59V TL Scorpion Rally STR Front PIRELLI SF14394 2 8 660 руб. 7 110/80-19 59V Front Мотошина 110/80-19 59V TL Scorpion Rally STR Front PIRELLI BT2865100 8 8 760 руб. 4 120/70-17 58H Front Мотошина 120/70-17 58H TT Scorpion Rally STR Front PIRELLI SF14393 2 8 220 руб. 4 120/70-17 58V Front Мотошина 120/70-17 58V TT Scorpion Rally STR Front PIRELLI SF143931 2 8 160 руб. 12 120/70-17 58H Front Мотошина 120/70-17 58H TT Scorpion Rally STR Front PIRELLI 1726352/09 10 7 730 руб. 12 120/70-17 58V Front Мотошина 120/70R17 58V TT Scorpion Rally STR Front PIRELLI 713047301 7 8 120 руб. 4 120/70-18 59V Front Мотошина 120/70R18 59V TL M+S Scorpion Rally STR Front PIRELLI SF143932 2 8 460 руб. 12 120/70-18 59V Front Мотошина 120/70R18 59V TL M+S Scorpion Rally STR Front PIRELLI 713047401 9 8 390 руб. 7 120/70-18 59V Front Мотошина 120/70R18 59V TL M+S Scorpion Rally STR Front PIRELLI BT3114900 1 8 540 руб. 4 120/70-19 60V Front Мотошина 120/70-19 60V TL Scorpion Rally STR Front PIRELLI SF14395 2 8 610 руб. 12 120/70-19 60V Front Мотошина 120/70-19 60V TL Scorpion Rally STR Front PIRELLI 1726352/02 36 8 560 руб. 7 120/70-19 60V Front Мотошина 120/70-19 60V TL Scorpion Rally STR Front PIRELLI BT2803600 6 8 710 руб. 4 130/80-17 65V Rear Мотошина 130/80-17 65V TL Scorpion Rally STR Rear PIRELLI SF14396 2 9 660 руб. 12 130/80-17 65V Rear Мотошина 130/80-17 65V TL Scorpion Rally STR Rear PIRELLI 1726352/06 1 9 660 руб. 4 140/80-17 69V Rear Мотошина 140/80-17 69V TL Scorpion Rally STR Rear PIRELLI SF143961 2 9 160 руб. 12 140/80-17 69V Rear Мотошина 140/80-17 69V TL Scorpion Rally STR Rear PIRELLI 1726352/07 15 9 110 руб. 7 140/80-17 69V Rear Мотошина 140/80-17 69V TL Scorpion Rally STR Rear PIRELLI BT2865500 1 9 270 руб. 12 150/60-17 66H Rear Мотошина 150/60-17 66H TL Scorpion Rally STR Rear PIRELLI 1726352/11 1 8 840 руб. 4 150/70-17 69V Rear Мотошина 150/70-17 69V TL Scorpion Rally STR Rear PIRELLI SF143962 2 9 660 руб. 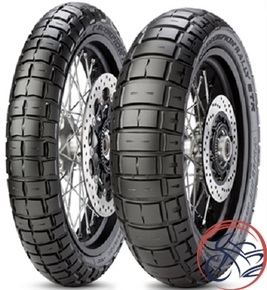 12 150/70-17 69V Rear Мотошина 150/70-17 69V TL Scorpion Rally STR Rear PIRELLI 1726352/04 8 9 610 руб. 4 160 60 15 Мотошина 160/60R15 M/C TL 67H M+S Scorpion Rally STR Rear PIRELLI SF14391 2 8 860 руб. 4 170/60-17 72V Rear Мотошина 170/60R17 72V TL Scorpion Rally STR Rear PIRELLI SF14397 1 11 070 руб. 7 170/60-17 72V Rear Мотошина 170/60R17 72V TL Scorpion Rally STR Rear PIRELLI BT2803700 5 11 180 руб. 12 170/60-17 72V Rear Мотошина 170/60-17 72V TL Scorpion Rally STR Rear PIRELLI 1726352/05 34 10 990 руб. 4 180/55-17 73V Rear Мотошина 180/55R17 73V TL M+S Scorpion Rally STR Rear PIRELLI SF14398 2 13 340 руб. 4 90/90-21 54V Front Мотошина 90/90-21 54V TL Scorpion Rally STR Front PIRELLI SF14392 2 7 740 руб. 7 90/90-21 54V Front Мотошина 90/90-21 54V TL Scorpion Rally STR Front PIRELLI BT2803400 2 7 470 руб. 12 90/90-21 54V Front Мотошина 90/90-21 54V TL Scorpion Rally STR Front PIRELLI 1726352/03 19 7 340 руб.